The state champs for OTB and Blitz are the weekend of April 12-14 at the Airport Wyndham. Through membership feedback, we are trying a closed State Championship this year. Play will be open only to Indiana residents. This is a trial, so let us know what you think of it. The Blitz champ will be crowned Saturday night. Registation, time controls, start times and prize details are the buttons below! IM Burnett repeats at Southern Indiana Open/Reserve. The flooding around Bloomington subsided Saturday morning enough that 62 players could make there way to the tnmt hall at the Holiday Inn for this years tnmt. Talking with Expert Mike Herron before registration, he said “WE need an Indiana player to step up and draw Burnett so we can catch him!” Well…it didn’t happen! Burnett went 4-0 to win 1st prize. 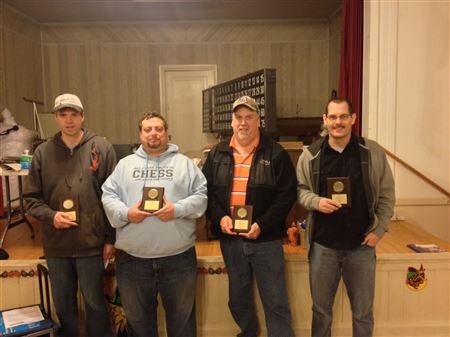 Herron, James Cates, Josh Bousum , Mark Blackstad, Kieth Belton and Mohamed Elshalzly went 3-1 for 2nd and split the the 2nd place and “A” prizes. In the reserve section all of the “B” players were shut out of prize money as 4 “C” and “D” players went 3.5-.5 to tie for 1st. 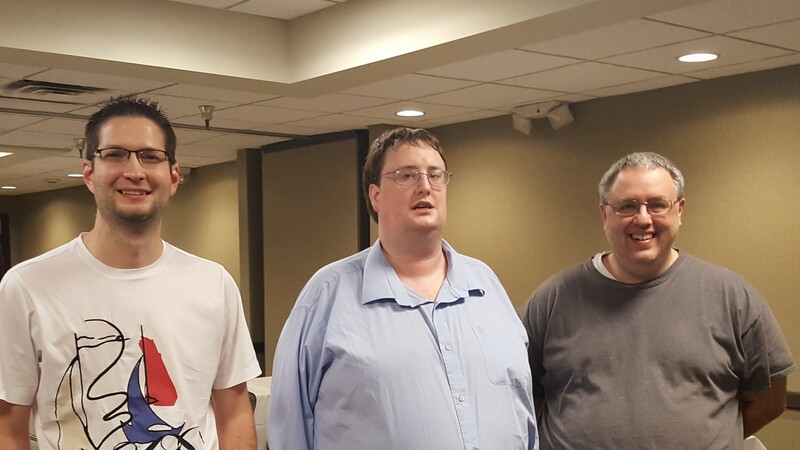 Eric Henry, Carl Bauer III, Daniel Larsen and Al Nelms split the 1st,,2nd,”C” and “D” money and get $ 162.50 apiece. Next year we will use both rooms of the tnmt hall for play if we need to. I am looking at adding a couple of prizes also to the Prize Fund. Thanks to everyone who played this year. I was ably assisted this year by Club Director Krista Li of Bloomington who is looking to run tnmts herself. I hope this tnmt continues to be successful as past years. See you at the State Championship April 12-14 at the Wyndham Indianapolis West! 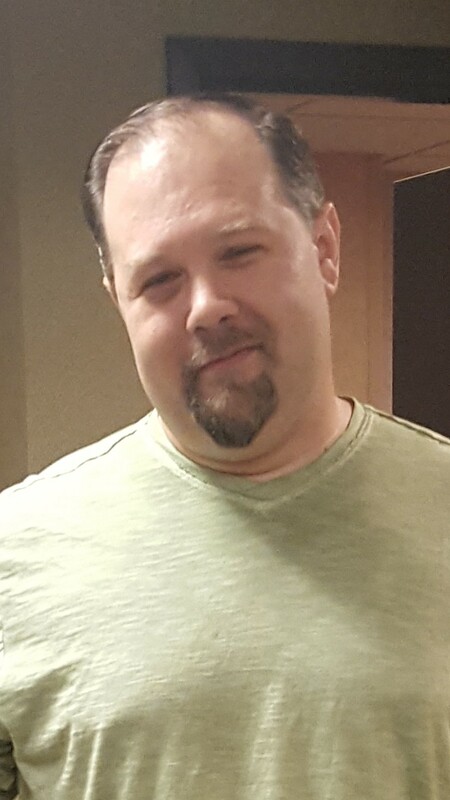 Craig Hines ,Chief TD and ISCA Secretary. The 48 players who came to the 2018 ISCA Memorial were a little soggy when they stepped into the tnmt hall because it was pouring and blowing outside. Lots of Board member help at registration saw the tnmt start just a few minutes late. Maybe this caused some folks to lose focus as there were several upsets in the first Rd.. Parham beat VanMeter, Roush beat Datar and in a small upset Braydon Povinelli drew with ISCA President. Matt Leach in the Open. In the U1800 top rated Jeff Jackson went down to Gael Medina. Upsets continued into Rd.2 where Roush beat Jim Mills. 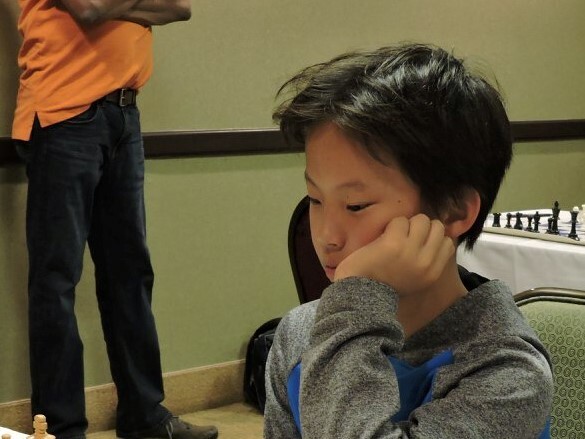 Things settled down in the 3rd and4th round though, and in the end Parham and young Bill Qian drew and tied for first in the Open with 3.5 and a $200 a piece pay day. Dennis Geiselman got the U2000 $100 with 3 points and VanMeter won the Senior prize. Scholastic money,$50 each went to Nikhil Datar and Grant Mu. The U1800 section was won by the 5th and 6th seeds, Terry Winchester and Thomas Burden while the top 4 seeds were stumbling. They got $200 a piece. U1600 money was split by Dennis Hurst and Eric Henry, $50 each. U1400 went to Gael Medina and Andrew Grismer, $50 each also. Senior prize, $50, in U1800 went to John Wortinger and the Scholastic winner was Christopher Cheng who left before getting his prize, IF ANYONE HAS CONTACT INFO FOR CHRISTOPHER OR HIS FAMILY PLEASE CONTACT BEN PITCHKITES AT bpitchkites@yahoo.com. Hope to see everyone at the Southern Indiana Open, Feb. 9, 2019 in Bloomington! 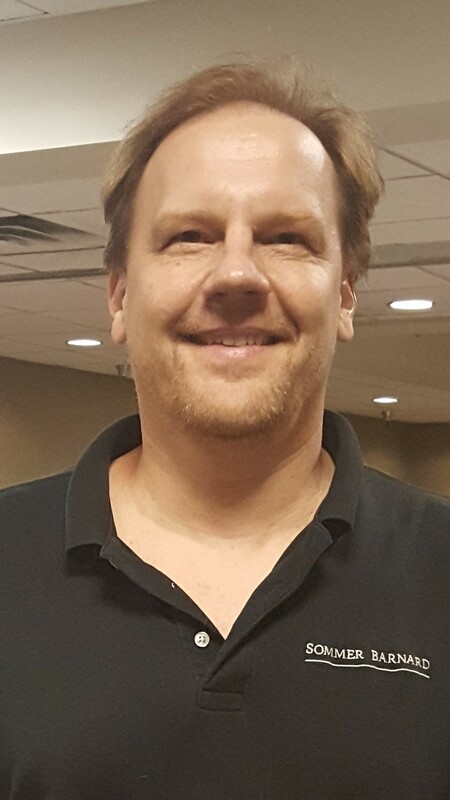 Craig Hines, Chief TD/ISCA Secretary. 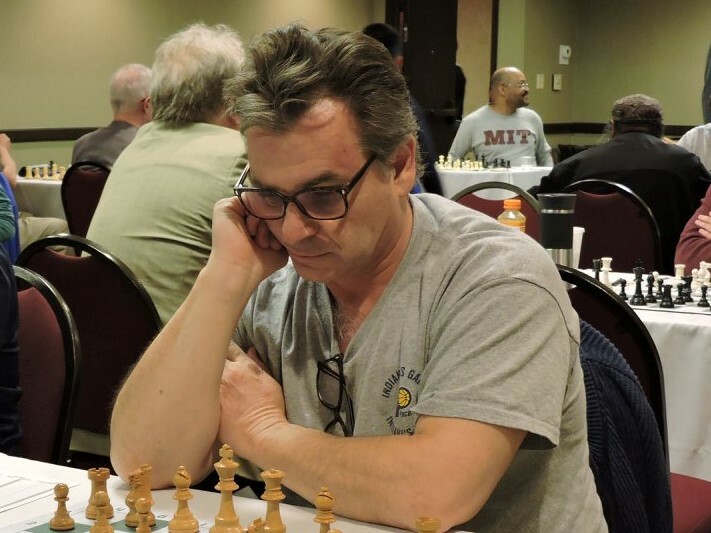 In a tough weekend of competition, the Class Champions were crowned after play at the Crowne Plaza on the weekend of September 15 and 16 in 4 rounds of play. 54 total players competed. The Mast Expert section was loaded with chess talent. 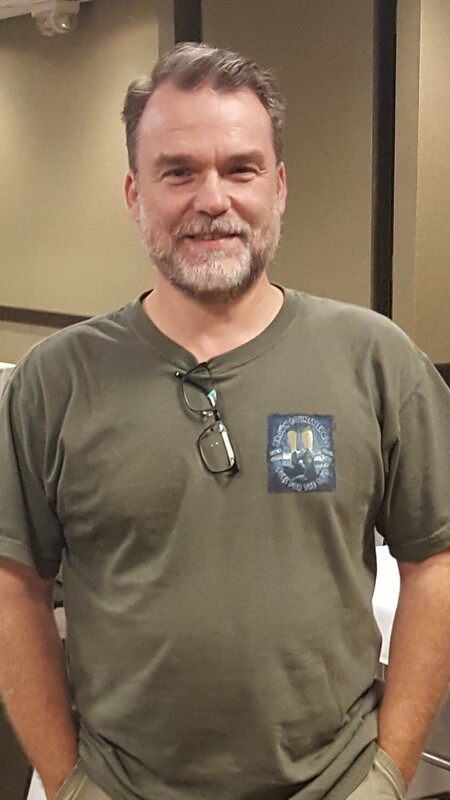 Jim Dean was crowned champ with a record of 3.4/4. Nate Criss finished alone in second with a record of 3/4 and claimed the top expert prize. Former State Champs in the field included Dean, Lester Van Meter, Mike Herron, Jim Mills and Andy Porter. High rated player Mike Johnson (Ky) and Elton Cao (Oh) competed as well. This section was loaded with great players! 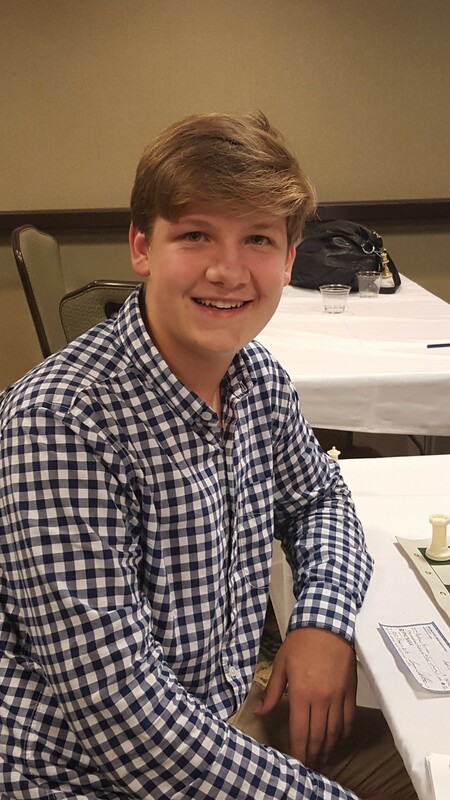 In Class A, one of the rising stars of Indiana Chess, Braydon Povinelli took first place. also ended in a tie with Bradley Back, Russell Stinson and Scott Pletka sharing the honor. 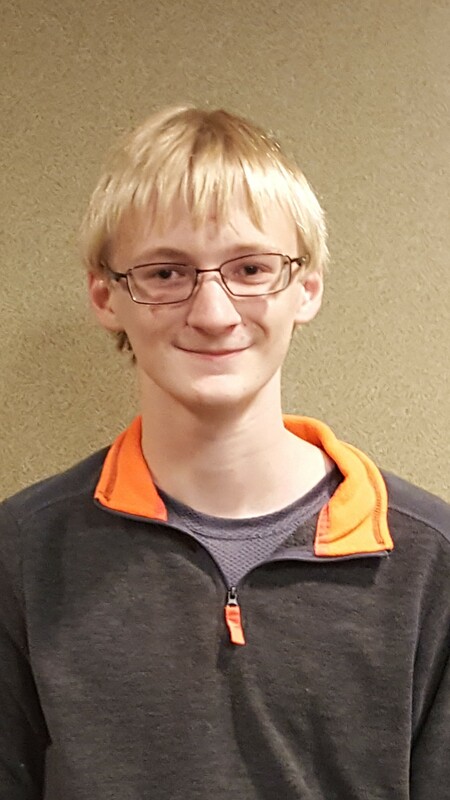 In Class D/E, Andrew Grismer finished at the top of the group. Congrats to the champions! soon on this tournament. It will be a one day tournament. competition took place on Saturday, September 15. In an intense evening, Keith Swedo survived alone at the top!